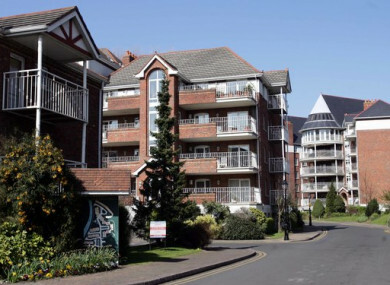 THE GOVERNMENT IS planning a new “fast track” apartment scheme to deliver over 1,000 new units, Housing Minister Eoghan Murphy announced today. Murphy was speaking following the third Housing Summit, which was held in the Custom House in Dublin with the chief executives of 31 local authorities. A series of plans and proposals were announced by the minister in the areas of housing and homelessness, as latest figures show the numbers of homeless adults and children rose yet again in May. There are now collectively 9,846 homeless people living in homeless shelters or hotels across Ireland. Among the measures announced was a new fast track apartment scheme. The Department said that funding was in place to support the delivery of the apartments and that plans were “currently being advanced across a number Dublin sites and other city and town locations across the country”. It was also announced that banks, financial institutions and private equity funds were being targeted for 1,000 units as part of a vacancy and acquisition programme. Minister Murphy said that officials today “didn’t discuss” the recent so-called “categorisation issue”, which has resulted in to date about 900 adults and children being removed from the monthly count. All of the main homelessness charities as well as housing experts and opposition politicians have stated that many of the people removed from the figures, were homeless at the time of being removed. Responding today, he said he was still awaiting a report on the matter. “An error did occur, we’re still trying to get to the bottom of that error,” he said. Measures announced in relation to homelessness include 70 new emergency beds, which are due to be in place for September. As well as this, the Minister said that a review and promotion would be carried out in order to encourage more families and landlords to take up the Housing Assistance Payment (HAP). This follows on from two reports published last month in relation to the issue, which found that in some cases families were reluctant to take up HAP over a permanent social housing home. Other measures announced following the summit include increasing affordable housing delivery and improving report and research into homelessness. Email “Plans for over 1,000 new 'fast track' apartments in Dublin and across the country announced”. Feedback on “Plans for over 1,000 new 'fast track' apartments in Dublin and across the country announced”.